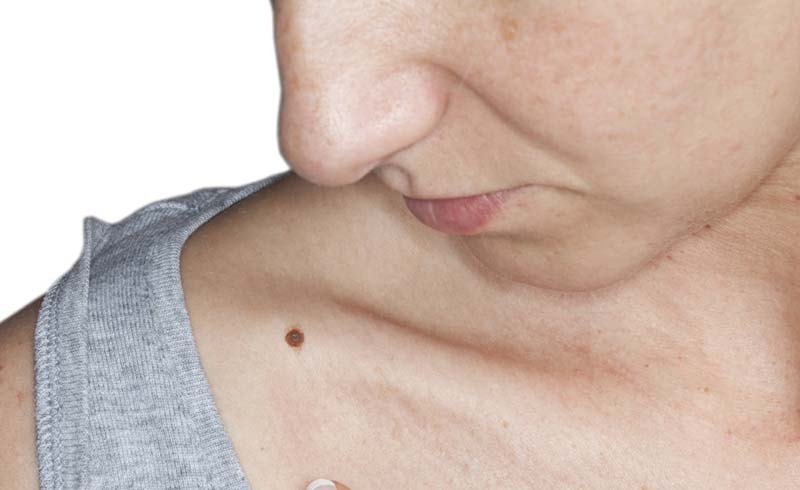 One in five Americans will be diagnosed with skin cancer during their lifetime. Many people don't know this, but skin cancer is the most prevalent cancer worldwide, and in the United States, there are more new cases of skin cancer than breast, prostate, lung, and colon cancers combined. Research shows that the incidence of melanoma in women 18 to 39 increased 800 percent from 1970 to 2009. In other words, we should all be reading up on how to prevent it. I say this not only as a skin cancer expert and dermatologist but because I am one of those five. And if I had known then what I know now, there's a chance I wouldn't have had the extreme displeasure of having to diagnose myself with the most deadly skin cancer there is: melanoma. Your body is regulated by your circadian rhythm, which regulates one of the body's most important hormones: melatonin. Melatonin influences your body weight, reproduction, and hair growth and helps your body know when to sleep and wake up. One of the most important roles melatonin plays in skin health is its ability to protect it from UV radiation. In fact, melatonin has been shown to be a stronger scavenger of free radicals than vitamin C or vitamin E, which are both often used to treat cellular damage. As an antioxidant, melatonin has a protective role against UVB skin damage and can block free radical damage, decrease inflammation, and stimulate the formation of other potent antioxidants in the body such as glutathione and superoxide dismutase. Translation: Getting quality sleep every night helps block the damaging effects of UV rays. UV exposure and other environmental factors can quickly deplete your skin's innate antioxidant reserve. As a result, cellular and DNA damage is created, and this increases your risk of developing melanoma and non-melanoma skin cancer. Eating foods rich in antioxidants like collards, strawberries, kale (which all contain plenty of vitamin C); avocados, dark-green leafy vegetables, salmon, nuts (great sources of vitamin E); carrots, squash, sweet potatoes (vitamin A); and romaine lettuce, Swiss chard, spinach (which contain lutein and zeaxanthin) is extremely important. These foods have anti-inflammatory, immunomodulatory, and antioxidant properties, which is why they are considered among the most promising group of compounds to be researched and implemented as an ideal cancer-prevention strategy. Studies have shown that higher consumption of caffeinated coffee was associated with lower risk for basal cell carcinoma and may also have an effect on lowering the risk of melanoma. In a clinical study of over 90,000 Caucasian women, it was found that those who drank six or more cups of coffee per day had a 30 percent decrease in the prevalence of non-melanoma skin cancer. In a separate study, coffee consumption of one cup per day was associated with a 3 percent reduction in melanoma risk, while another study showed a 20 percent decreased prevalence of malignant melanoma consuming four cups a day. The sweet spot may turn out to be somewhere in the middle but more research needs to be done. For now, though, we know that the benefit is tied to the bioactive chemicals in coffee, including caffeine and chlorogenic acid, so don't switch to decaf just yet! The only way to examine your skin is to see it—up close and personal. Get ready to party in your birthday suit and be on the lookout for any uninvited guests. I can't stress this enough: When you take notice, you can take action. So make a date with yourself and pick one day a month that you commit to checking your skin, and put it in your calendar. Get naked. Examine yourself either before or after your shower. You're already naked, so make the most of it. Start at the top of your head and work your way down to your toes. Look in all your nooks and crannies: your mouth, lips, ears, armpits, belly button, nails, between your fingers and toes, the tops and bottoms of your feet. Check out your intimate bits—front and back. Grab a hand mirror so you can see the skin externally and internally. Skin cancer is both the most prevalent and the most preventable cancer in our country. Remember to keep up with these four tips, as well as being diligent about sunscreen if you're going to be spending time outside. Cheers to your resilient health!